When I was asked to be Maid of Honor in a wedding in Bristish Colombia this summer, my husband and I were thrilled to plan our trip. 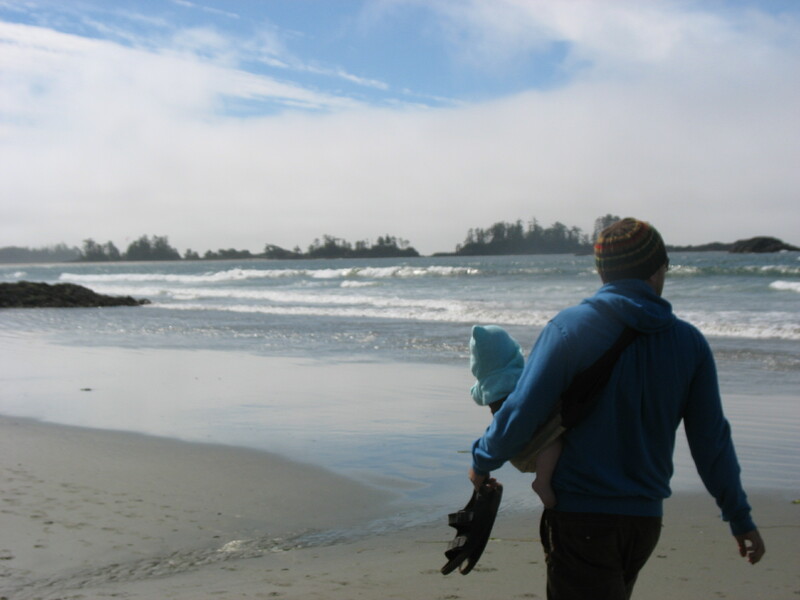 We decided to start our adventure in the tiny sea inlet of Tofino, on Vancouver Island’s majestic pacific coast. We were there together once before. It was 2006, and our daughter Leila was nine months old. Mitch and i were a romantic young couple, exploring the world one leaf and one legend at a time. We always considered that whole summer one long, loving honeymoon as we were married that year, in June. There is no change in the rugged coastline. There are still massive waves on Chesterman Beach. 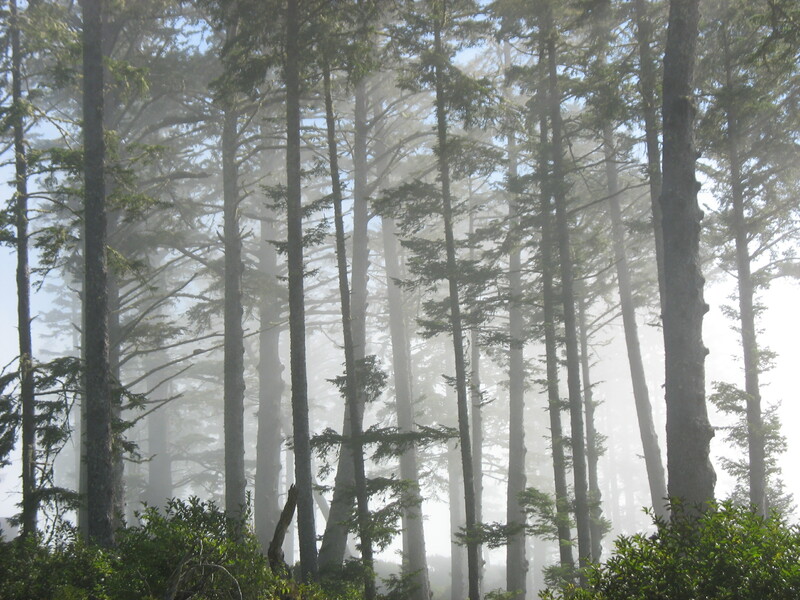 The sunset from Radar Hill is still spectacular, and the ancient rainforest trees of Pacific Rim National Park Reserve quietly grow their mosses in the misty mornings, playing host to the thousands of birds and wildlife that grace their branches. Now our daughter is seven, and our son, Ari is the one who is nine months old. Leila and Mitch spent the week surfing, using words like “crest” and “breakwater” and ‘”killin’ it.” Last time we stayed in a private room at the youth hostel (a huge splurge for us); this time, we’re in a 3 bedroom house across from the shore. 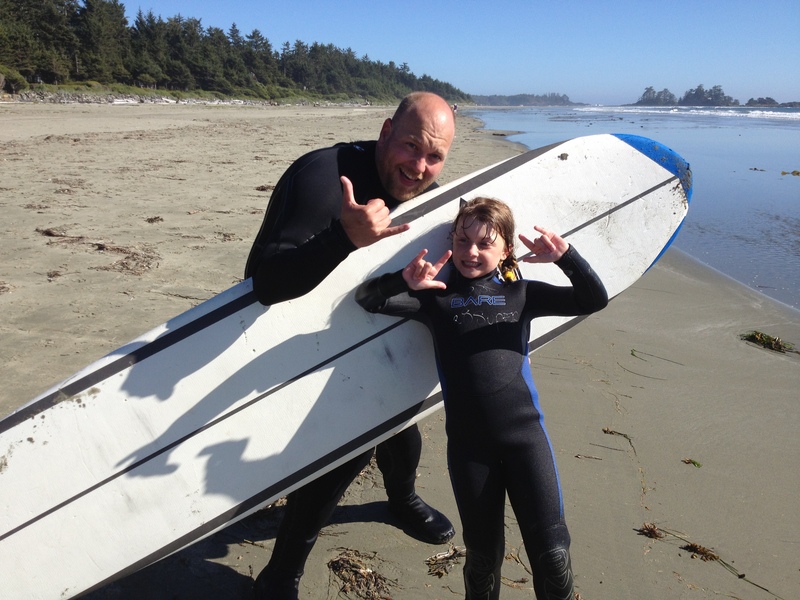 Leila does remarkably well for her first surf, and I’m so proud of her. Even her father is impressed, and Ari watches the waves with intensity. According to the Stanford School of Medicine, every single cell in our skeleton is replaced every seven years. 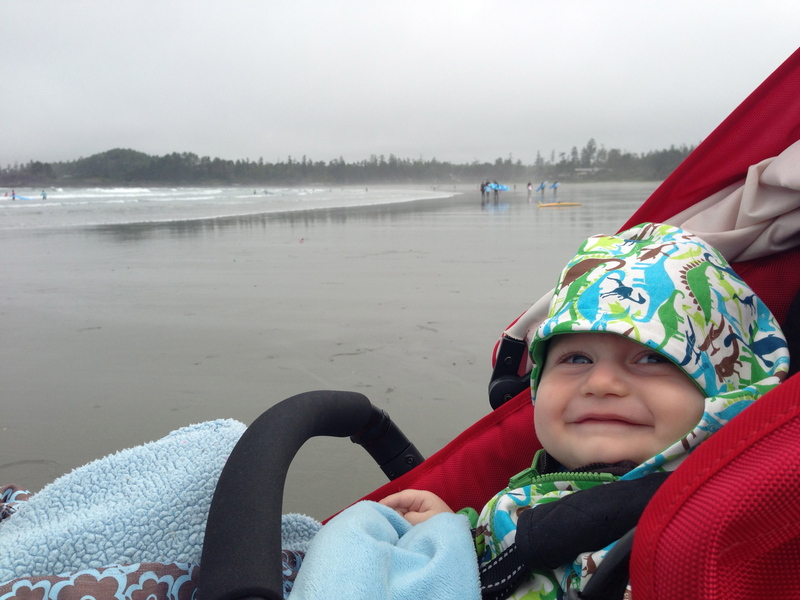 Does that mean that that I was a different person this time, on that beach in Tofino? A unique person with hopes and dreams, looking back on the shadow self of years behind me? The thirties have brought with them tumultuous times of grief and fear, professional quests, enterprising ideas and the dream of a future with kayaks and wildflowers. And of course, my boy. And now I carry on, fulfilling my thirties with blue mountain skies and family campfires and babies laughing over and over as the same block tower tumbles down, down. Writing books, critical papers and devouring the literature that will make be a more astute communicator. Sweet ability to create scenes thru words Mo! Kudos to you. Looking for a ‘sketch artist’… To paint a nature scene in the studio… Any recommendations?